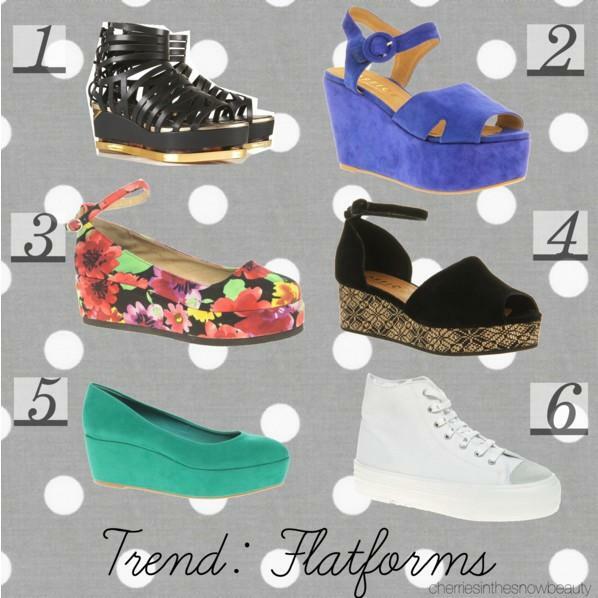 If you are up to date with the latest trends, you'll know that flatforms are the new 'it' shoe of the season. A cross between flats and heels, flatforms are perfect for us shorties who want comfort and a little added height. Here are some of my favourites, click the links below to buy! Flatforms - Love them or hate them? Mmmm...Marmite. :) A friend of mine got me hooked on the stuff. It's pretty addictive! I actually like these type of shoes. I'm short and like to be comfortable, so its the perfect match! These are adorbs. I love flatforms. I'm 5ft11 so i'm always looking for shoes with height but not too much height.